Which suitcase for a world tour? Choosing equipment for the world tour is probably the most difficult part of the trip preparation. This is the first time we are gone for so long and we are very limited in terms of space and weight. Indeed, our suitcase is our home for the next year but we do not want to overload ourselves. Travelling light will help us get the most out of each destination. Ideally, we were meant to travel with only one hand luggage each. In the end it was too difficult, we made a compromise: one checked baggage and one hand luggage for the two of us. We chose our two backpacks carefully. We have a 40L bag fitting as cabin luggage and a 70L with a small 15L detachable bag (very convenient for the plane, the big bag goes in the hold and the small bag in the cabin). 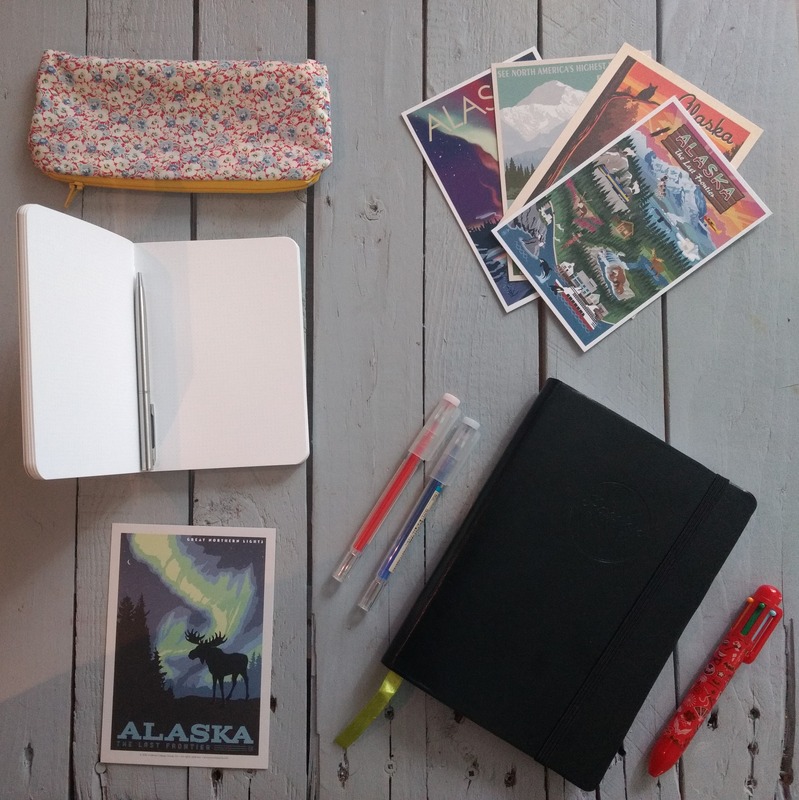 Our backpacks contain laptop sleeves, essential for us travelling with laptops (see our post on our electronic equipment). 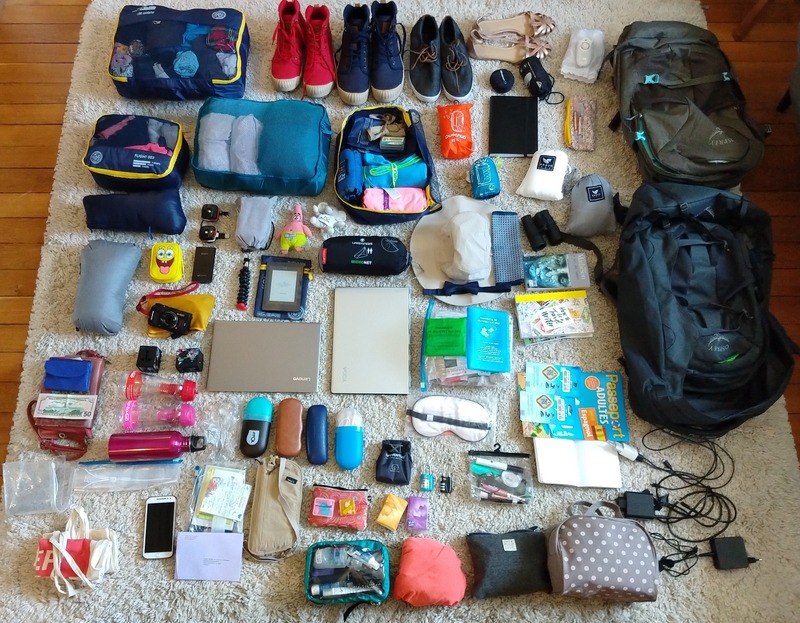 We followed the advice of youtubers and bloggers and invested in packing cubes from Muji and Nature & découvertes to organise our bags and clothes (see our post on our wardrobe). Lots of lactose-free snacks for Clémentine, a survival essential to always have with us! 3 water bottles, 2 with Water-to-Go filters and a regular one. We offer a discount code of 25% to buy these water bottles on the website https://www.watertogo.eu/ with the promo code VOYAGEDEMIEL. More promo codes are available on our tips and discounts page. 1 Sawyer filter that plugs directly to the taps. Very useful in housing or during long trek, it is also possible to carry a liter of water in the pocket provided with the filter. The code VOYAGECM18 can be used for 20% off. Reducing plastic waste starts with saying no to bottled water! A trip like ours is an incredible opportunity to discover the wonders of nature. Our greatest wish is for generations after us to be able to admire those as well. For several years we have been trying to reduce the amount of waste we produce. One of the first source of waste and the easiest to eliminate is the plastic water bottles. 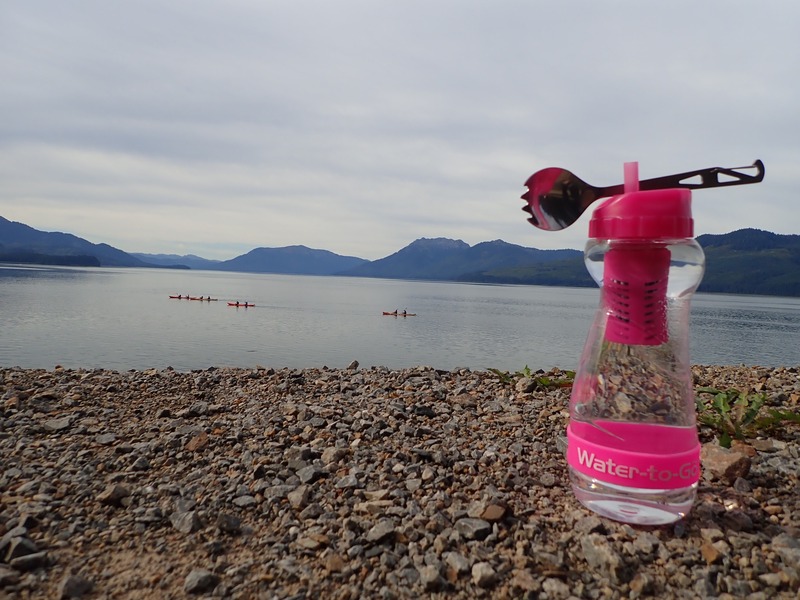 We always keep our hiking bottles with us and fill them wherever we go (and we do not hesitate to ask bars or restaurants to fill them in town). Unfortunately we will travel to many countries where it is not recommended to drink running water. Companies like Water-to-Go and Sawyer offer not only ecological but also economical alternatives we 100% support. We discussed filtering water with travel specialists during our vaccination sessions and we were told it is a healthier alternative than buying bottled water. 2 sporks (fork / spoon) in titanium from Lifeventure. Practical if you need cutlery and another gesture for the environment to avoid the use of plastic disposable one. Available on https://www.lifeventure.com/products/cookware/titanium-spork with 15% discount thanks to our discount code 15CMBLV (More promo codes available on our tips and discounts page). 2 security pouches to wear around the neck and as a belt to store passports and money. Honestly we have not used them yet because Nicolas’ Craghoppers trousers have secret pockets and waterproof sealed to hold our passports. 1 20L backpack Quechua Ultra Compact and waterproof. Does not take up space in the luggage and super convenient for outdoor activities (especially canoe or kayak), for storing food and during rainy weather. 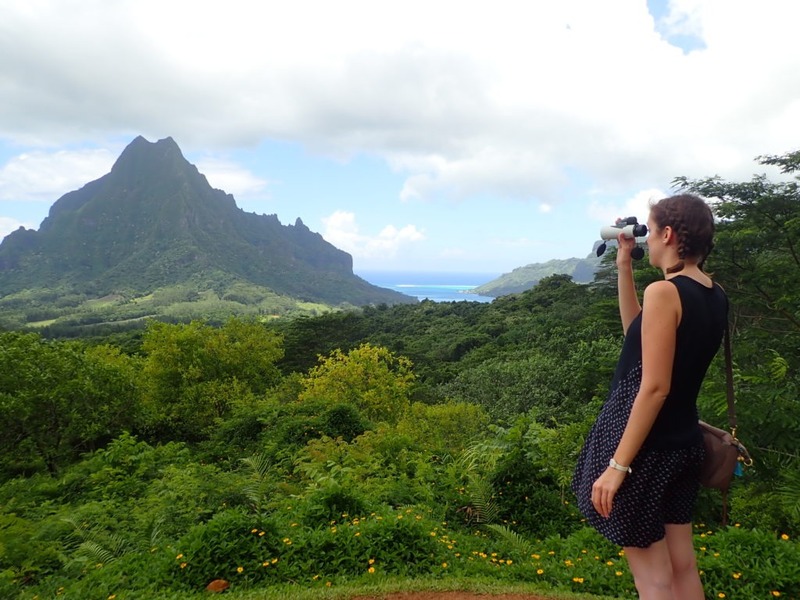 1 Avalon monocular : we started off without binoculars and regretted it. We then chose a monocular. The zoom is good enough to observe nature and it is more compact than a pair of binoculars for transport. 2 Braveera silk sheets (for sleeping bags). You can order these from https://braveera.com/discount/VOYAGE10 and use the discount code VOYAGE10 for 10% discount (more promo codes are available on our tips and discounts page). 2 silk pillowcases and one silk eye mask (coming for free with the pillow cases) from the afordable brand LilySilk. The mask stayed in a wardrobe for a long time and Clémentine tried it for the first time during the trip. She loves it and Nicolas now want the same! We brought with us silk sheets and pillowcases for these occasions where the bed linen is not provided but also for these dwellings where hygiene seems doubtful (and we already used them!). Silk has many properties: parasites and dirt do not cling (bye bye bed bugs and lice), it is light and compact, it dries fast, it is good for your skin and hair and finally it is very nice and comfortable. 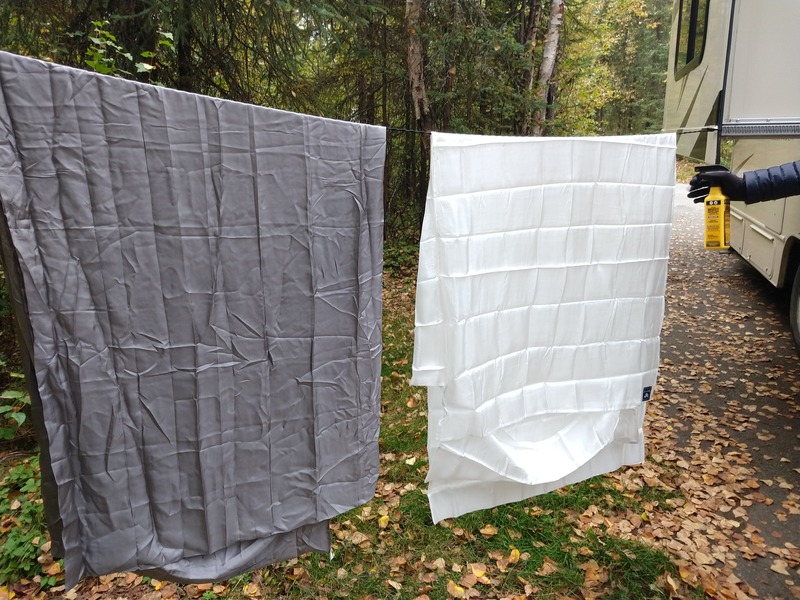 Bonus: we were able to treat our Braveera sheets with Sawyer insect and clothing treatment. An extra protection for risky nights. 1 washing line from Lifeventure. 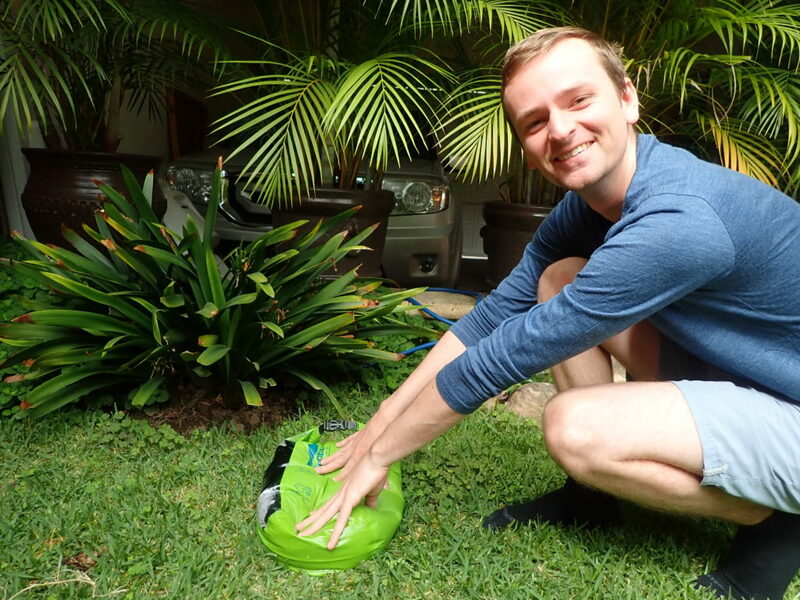 Available with 15% discount on https://www.lifeventure.com/products/washgear/travel-washing-line with our discount code 15CMBLV. The most useful gadget so far, we use it almost every day. The line is super compact (it weighs only a few grams) and easy to set up with hooks or suction cups and doesn’t require to use clothespins (the clothes are pinched directly on the line). 1 tiny sewing kit with a needle, a safety pin and sewing threads. 1 Scrubba Wash Bag for our laundry. We bought it on the way because the quality of our manual laundry is highly questionnable. It also help us save water and energy. 1 inflatable neck pillow from Lifeventure available with 15% discount on https://www.lifeventure.com/products/sleepgear/inflatable-neck-pillow with our promo code 15CMBLV. 3 pairs of sunglasses: 1 for Nicolas and 2 for Clémentine (one with corrections and one without to wear with contact lenses). It is very important to protect your eyes. Sunscreen index 30 and 50 from the brand Sawyer. Super convenient to carry, the small size allows to take it in the cabin for the plane and in his pocket while out. Insect protection: treat your gears! 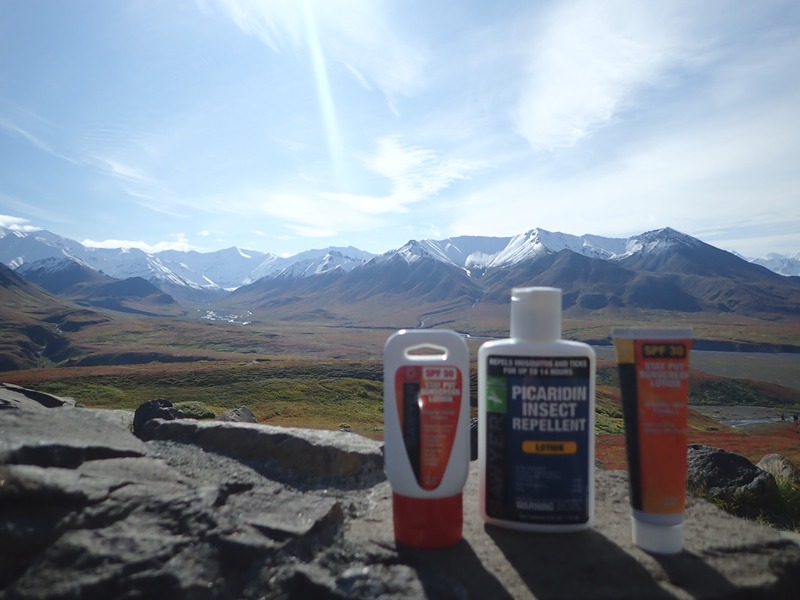 Insect repellent for travel gears was strongly recommended to us during our medical visits. Treating all of your equipment maximizes your protection against mosquitoes and ticks. We treated all of our clothes that were not from Nosilife Craghoppers as well as our bed sheets, shoes (bye bye ticks) and even our backpacks for optimal protection. The downside of this treatment is: it is only fully effective for a duration of 6 weeks or 6 washes. The impregnated clothes like the ones from the brand Nosilife Craghoppers are effective throughout the life of the garment. 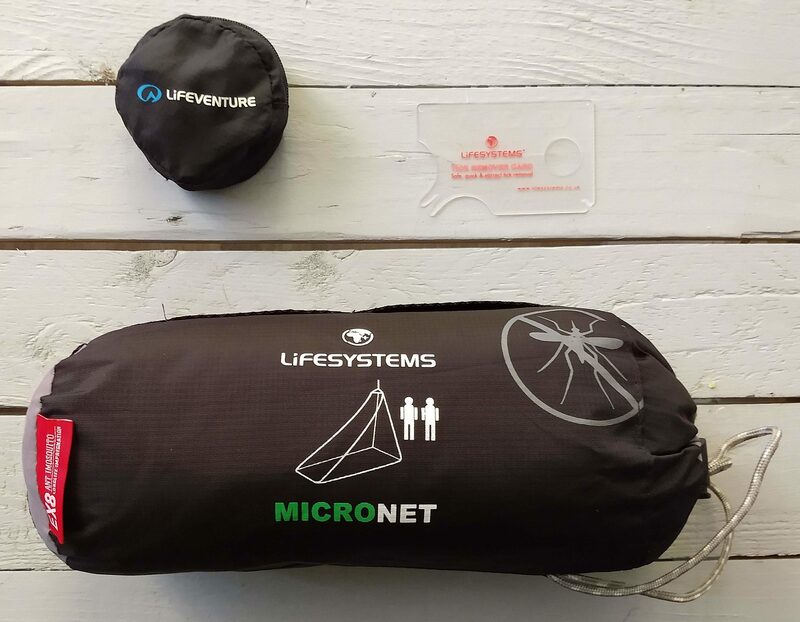 A mosquito net is also essential for our future destinations and we are very happy we found an impregnated, lightweight and compact one. 1 menstrual cup, the Ziggy Cupp from Intimina. Another gesture for the environment and to reduce waste as well as a choice of comfort and serenity. Several credit/debit cards in case one does not work. We mainly took 2 Monzo cards (exclusively available in the UK) and a Revolut card. These cards are free to order and use, there are no charge for payments in other currencies and we can withdraw up to 200 € per month for free. Life savers for savy travellers! The final items are freezer bags! Of all sizes! Super useful to: keep important papers dry, carry shoes, prevent toiletry items of running/draining, store food for picnics or to save leftovers. 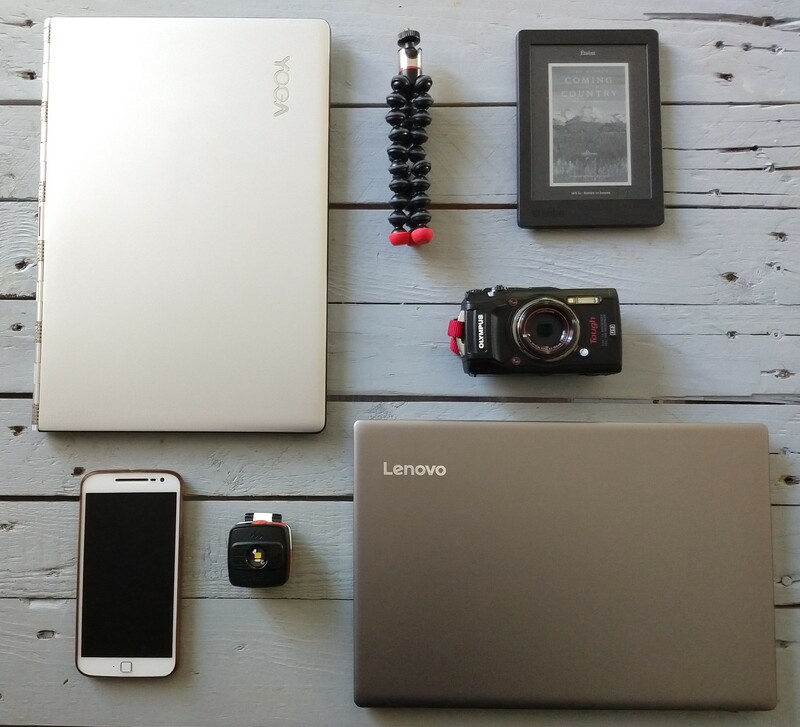 The list of items in our wardrobe is available on our post world tour: wardrobe and for more information on our electronic devices you can read our post world tour packing list: electronics.